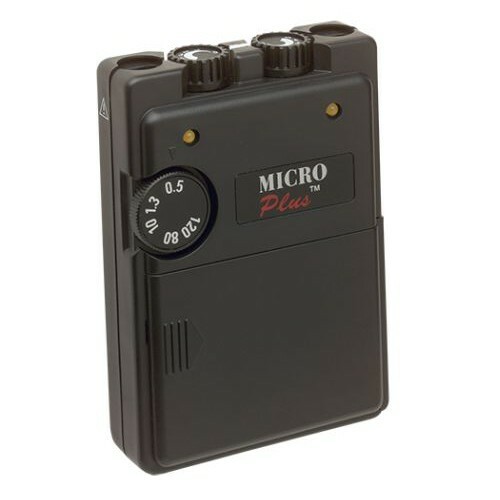 MENS Microcurrent Electrical Nerve Stimulator is a microcurrent electrical nerve stimulator with a two channel analog device. The Microcurrent (MENS) output is at a lower level and therefore the stimulator is often not "felt" or perceived by the patient, but works on a cellular level. 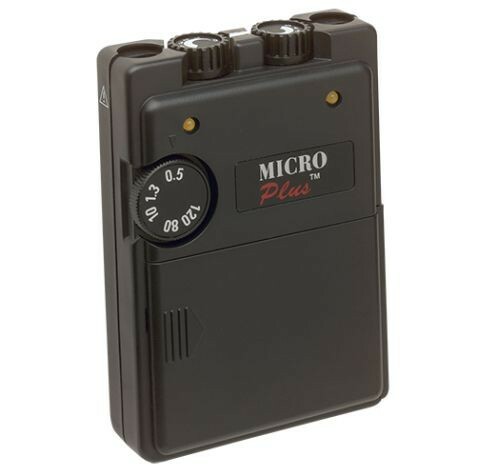 This adjustable device has an adjustable Pulse Rate 0.5-120Hz, Pulse Duration 1-3s, and Micro / Milliamp Controls. With three polarity settings, Positive, Negative, or BiPolar, this device comes with lead wires, electrodes (4), battery instruction booklet and carrying case. MENS Microcurrent Electrical Nerve Stimulator is the ideal non-intrusive pain therapy device that ultimately controls and subdues many of the aches and pains associated with muscle spasms and pain. By working on a cellular level, the microcurrent pain therapy machine can effectively help combat pain caused from unnecessary pain stimulator, muscle aches and similar ailments. You may also be interested in similar electrical nerve stimulator machines, such as Biostimulator Digital NMS2 Neuromuscular Stimulator and Tens Unit. Two Channel analog devices have an output at a lower level and therefore the stimulator is often not "felt" or perceived by the patient but works on a cellular level. Device has adjustable Pulse Rate .5 - 120 Hz, Pulse Duration 1-3s, and Micro / Milliamp Controls. Three Polarity settings, Positive, Negative, or BiPolar. Comes with: Lead wires, electrodes (4), battery, instruction booklet and carrying case.